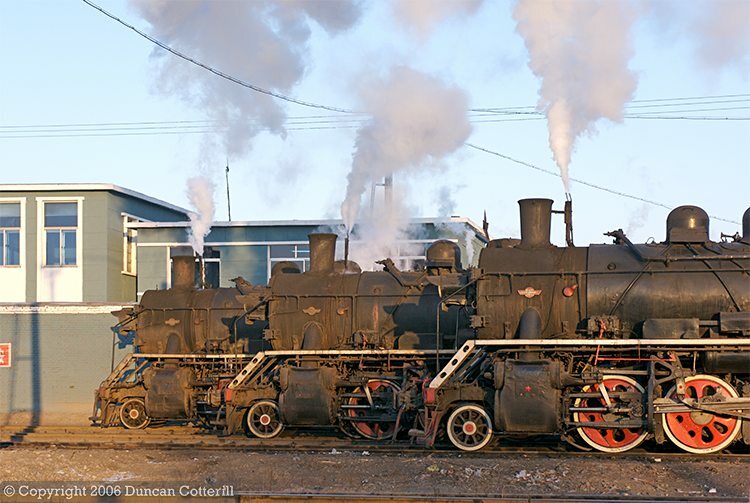 Every morning locos congregate at a spot just north of Ping'an station to change crews and prepare for the coming day's duties. Three SYs basked in the early morning sunlight on 2 December 2006, from the left, SY 0126, SY 0850 and SY 0540. All three were withdrawn from service over the following 18 months.